It's almost Valentine's Day. If you missed my All In for under $100 date night outfit, you can check out here and if you're still looking for a heart-y gift, you will love this. Today we're talking lips. A fun and cheeky way to dress up for the holiday, or any day for that matter. Starting with my favorite. 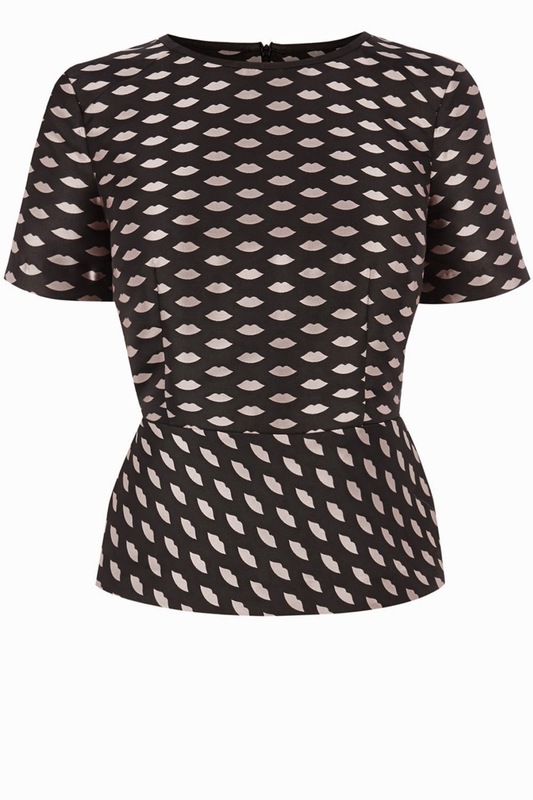 A great pop art inspired top that is great to layer under an LBD, cardigan or wear as is. No, but really, the price on this dress. How amazing is this mini dress? 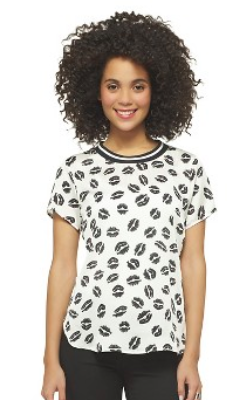 A sweet little tee that is casual and chic. And saving the best for last. This peplum, understated top that does come with a matching bottom (sigh, amazing) but the top as is, just perfect with black pants or skinny denim. 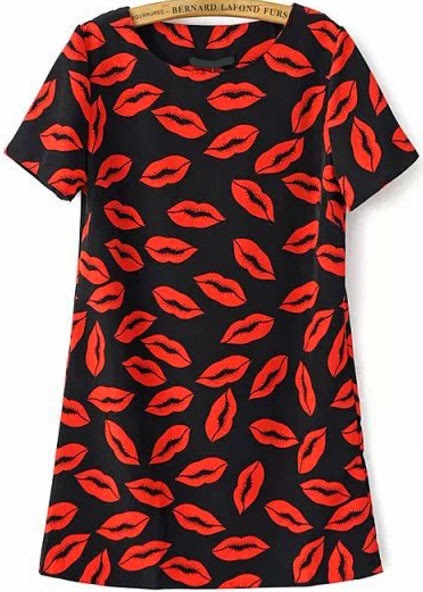 So pucker up, ladies! It's the month of love. I hope these pieces have given you some romantic inspiration!